Mention something bad about religion or something terrible in the bible and very often the religiously inclined will unleash what I would call "religious fanboyism". A defensive reflex designed to immediately wave away any negativity on the subject and quickly exclaim, "but it does so much good!". This seems to be fairly common in life as well, but staying on the topic of religion, people generally defend their religion with positive assertions, ignore those bad parts of the bible, or deliberately choose to be ignorant. With this idea of positive assertion and positive defense in mind, think about the resurgence of bogus arguments against abortion coming from religious groups. The most famous being the Beethoven argument. Apparently, abortion should be banned just in case the baby you aborted turns out to be Beethoven. The religious objection to abortion is only bathed in positive outcomes. In a single statement it is assumed that Beethoven miraculously becomes Beethoven, just because he was born. Let us ignore every single interaction and decision throughout the life of Beethoven. Interactions with specific teachers, specific people, his musical background, the musical background of his entire family. Any variation from this path may have resulted in Beethoven not becoming Beethoven. Strangely, if Beethoven didn't exist, we would not have known it to be the case. The second greatest musical composer would now become the greatest music composer and so on. 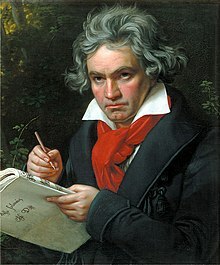 Beethoven may have been born but what if he had died in his infancy instead of his other siblings. Imagine all of the worlds greatest that have died due to religious conflict around the world. The next Beethoven could also be the child that just died in Africa from starvation or an unfertilized egg. We just won't know. This is where the argument of positive association and assertion raises it's head again. Using absolute hindsight, knowing that Beethoven is an accomplished and famous composer, this huge plus for our society could have been lost if we allowed abortion. With this hindsight firmly in view, flip the coin and apply the same argument to Hitler. Would abortion be okay if it was Hitler who was going to be aborted? Simply banning abortion does not guarantee a positive outcome. Humour me here and allow my baseless positive association and imagine how many brilliant Jewish scientists with intelligence, double that of Einstein, would have existed if Hitler had been aborted. If Beethoven was aborted, we would never have known good music. If Einstein was aborted, we would never have discovered relativity. If Hitler was aborted, we would have avoided terrible religious and ethnic cleansing. Hindsight is always 20/20 and leaping towards positive assertions and associations in an attempt to bolster your religiously motivated opinions on abortion is baseless. The rights of women to own their bodies and their own decisions is a far more amicable pursuit and any opposition to this, especially from a religious perspective, is absurd! I am coming into a time in my life where my relatives, friends and colleagues are losing their much loved and cherished parents and grandparents. It is sad, I feel for them and I too will be facing these difficult times myself in the future. 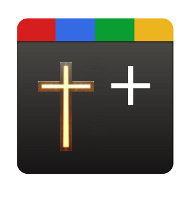 The funeral services I have attended have had religious content. I hope I have shown no disrespect to the lives of the individuals by not reciting the prayers with the group. I see no reason to participate as I do not believe that the individual is headed towards a kingdom in the sky. In my opinion, the kingdom in the sky does not exist and the guardian of the kingdom is simply a fairy tale. The general content of these prayers is about the safe passage of the soul of the individual into the kingdom in the sky, and that the guardian helps them on their way. Assuming the soul has a safe passage and isn't held up by road works, the soul is now in the company of previously passed relatives peering down on the physical earth. In a religious context, this is the happiest place to be, eternally. Given this idea of eternal happiness, why do believers grieve when a loved one dies? As a non-believer, I grieve as I know I will never interact with that person again. Their voice, their touch, their presence. This person no longer lives, but as one celebrant said, "Out of sight, should not be out of mind". I still have memories and hear stories about this person. I remember them and I remember their legacy. In a sense, a non-believer experiences a true loss as there is no reunion, ever. I would imagine that if I truly believed in spiritual reunions with loved ones passed, and they were enjoying eternal happiness, then I would be feeling an overwhelming sense of happiness for this individual. Maybe in a fit of jealousy, I would be upset that I wasn't there to enjoy it as well. In the context of eternity, the time that passes during our earthly lives is irrelevant. Compare infinity to 1 if you like. Now consider the time between successive generations passing on. Such a short time and it's not that long until, as a believer, you rejoin your loved ones passed, in happiness, and do so for eternity. So why do believers grieve when it is such a temporary situation? I suspect they know deep down that the idea of a kingdom in the sky is absurd and they essentially experience exactly the same true loss that a non-believer experiences.